NordBoards.com is your premier online skate shop, offering you everything you need for your next riding adventure. We only carry products from top brands in the industry that you know and love, such as Sector 9, Landyachtz, Arbor, Nordik, and Never Summer. We only carry trusted brands, because we are committed to bringing only the best products possible to our customers. At Boards on Nord, we want to help everyone achieve their boarding dreams. Whether you�re a beginner, or you�ve been boarding for longer than you can remember, we will have something that you need. 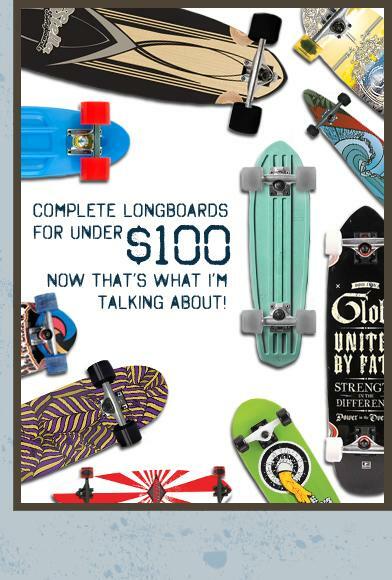 Our longboard skateboard selection is one of the widest around. We carry drop-thru, pintail, dropdown, and freeride decks. We also offer mini-decks, for those days when you want something small you can throw into a backpack and take with you anywhere. We offer decks in a variety of materials, but our two most popular materials are bamboo and maple. Bamboo decks give you a lightness and add speed and flexibility to your ride while maple decks are heavier but lend you more stability. In addition to tons of decks, we carry wheels, bearings, and trucks. You can use these items to customize a deck you already own, or you can order one of our decks and order customized wheels bearings and trucks to go with it. When you do this, you can easily create a custom item that fits your needs exactly. Need to stay safe? We know it is important to keep yourself out of harm�s way while you�re cruising down a street or practicing that new trick, so we offer helmets, slide gloves, and protective pads. We also offer tons of apparel options, so that you can be comfortable while riding. Our supply of t-shirts, tank tops, button-ups, shorts, pants, sweaters, and jackets allow you to express your love of boarding both on and off the course. Need skating shoes and socks? We have you covered there too. No matter what you�re looking for, you�ll find it in our online skate shop. We will have the longboard skateboard you�re looking for, as well as all of the accessories you need to go along with it. Take a look through our inventory today, and take your riding to the next level.